The intergalactic shooter took home Canadian Game of the Year, as well as three additional awards, at the second annual Canadian Video Game Awards on Wednesday night. The intergalactic shooter Mass Effect 2 took home Canadian Game of the Year, as well as three additional awards, at the second annual Canadian Video Game Awards on Wednesday night. Held in Vancouver, the awards are voted on by the public and celebrate the best in Canadian videogame development. There were 12 categories in all, including the prestigious Canadian Game of the Year as well as Best Downloadable Game and Best Game Design. 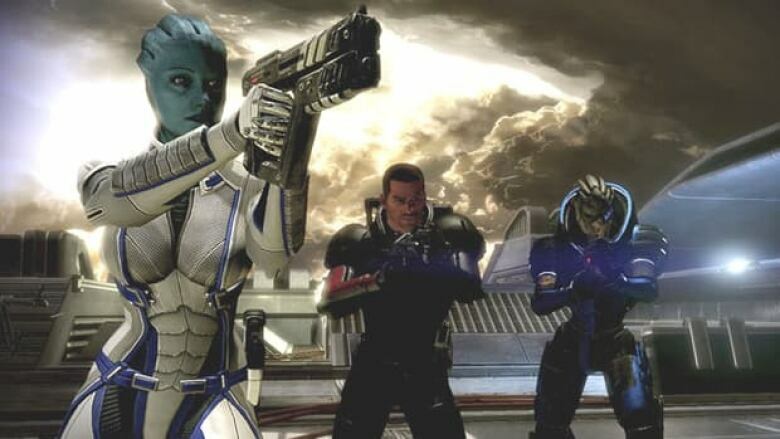 Developed by the Edmonton studio BioWare and published by Electronic Arts, Mass Effect 2 won the top prize as well as Best Console Game, Best Game Design and Best Writing. Assassin’s Creed: Brotherhood, from Ubisoft Montreal, received two awards: Best Audio and Best Visual Arts. The event also featured some new awards introduced this year. WOMP!, created by XnEh?/Centre for Digital Media, won Best Student Game, while ModNation Racers, by United Front Games, won the Centre for Digital Media and Innovation Award. Members of the public were invited to submit nominations for each category, and voted for Game of the Year. A 60-minute TV special on the awards will be broadcast on the gaming channel G4 Canada on May 29.